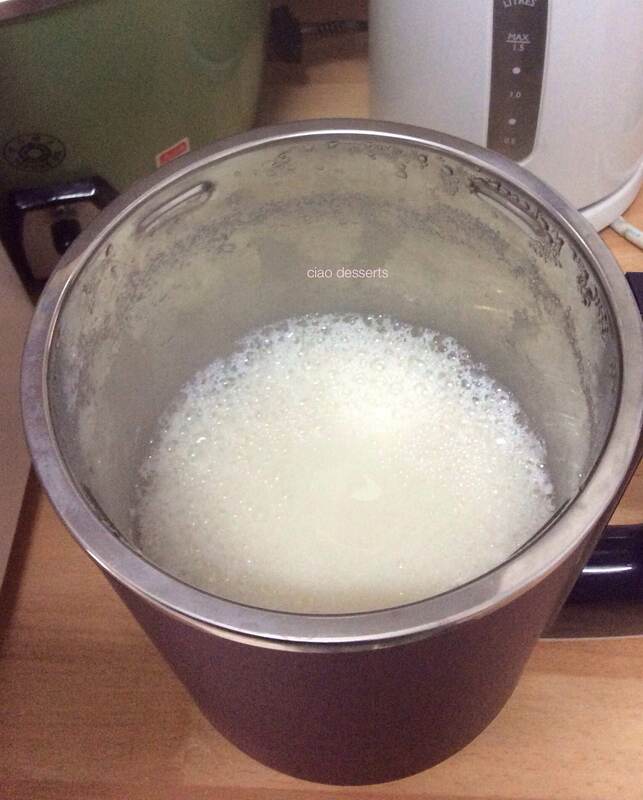 Update: Recently, my soy milk machine stopped working~ and I had to send it in for repairs. I was pleasantly surprised by how user-friendly the process was. I dropped it off at a Phillips service counter of my choice (in my case, the Sogo department store in Taipei). Then a technician called me a few days later to let me know what repairs would take place. It turns out that water had accidentally gotten into the top part of the machine and damaged the control board. Luckily, the warranty on this machine is for two years, so my repair costs were covered by the warranty. I received a text message a short while later and picked up my machine at my convenience. Thanks, Phillips! 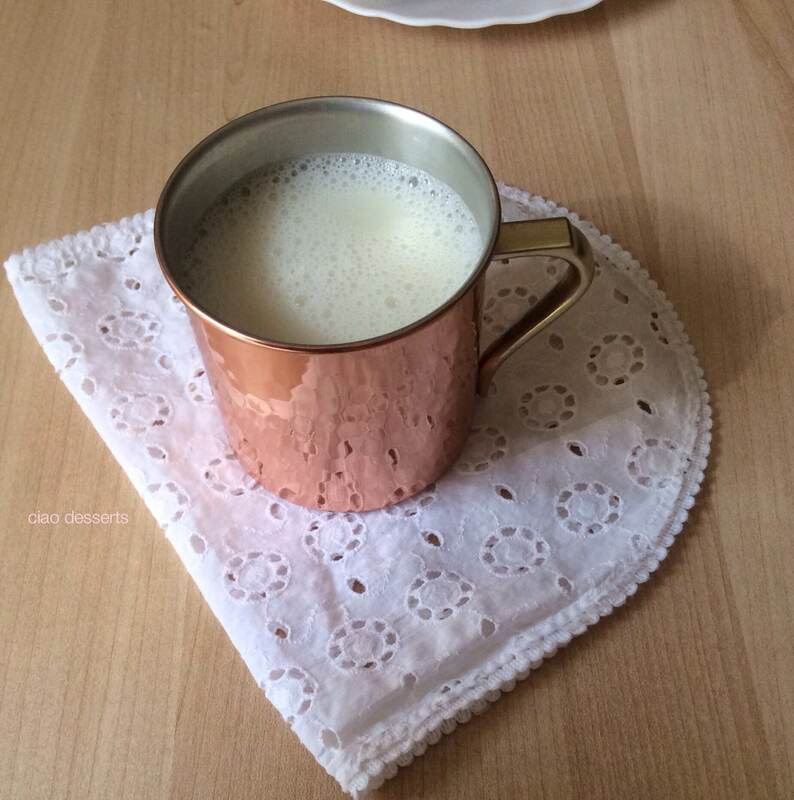 Some of you may remember, my slightly nerve-wracking run with an older version of a soy milk machine, from this blog post. After that experience, I decided to research and purchase a new machine. 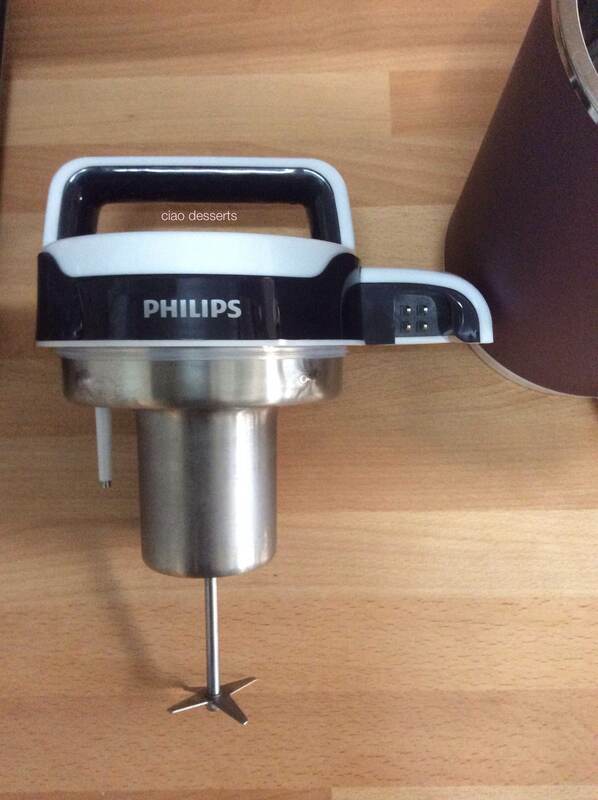 I finally bought one from Philips, and is the HD2079 model. I purchased it during the annual department store anniversary sales in Taiwan, so it was quite a good deal. (I keep telling myself that it was worth it to brave the crazy crazy crowds that day) I also wanted to use the machine several times before writing the post, so I can give you a thorough review. First, some logistics! 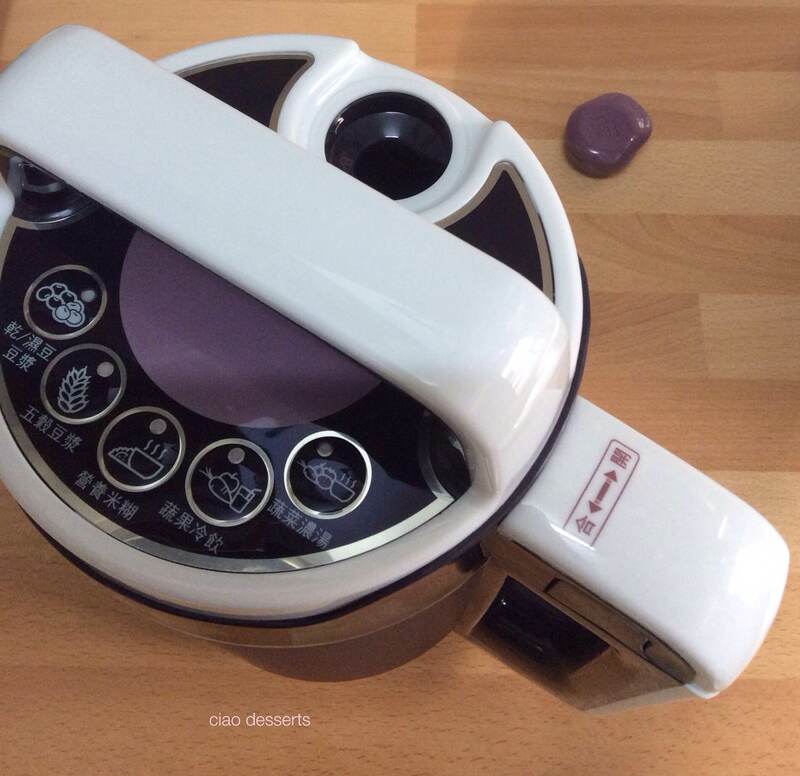 This soy machine has three main parts, the blade, the jug and the power cord. 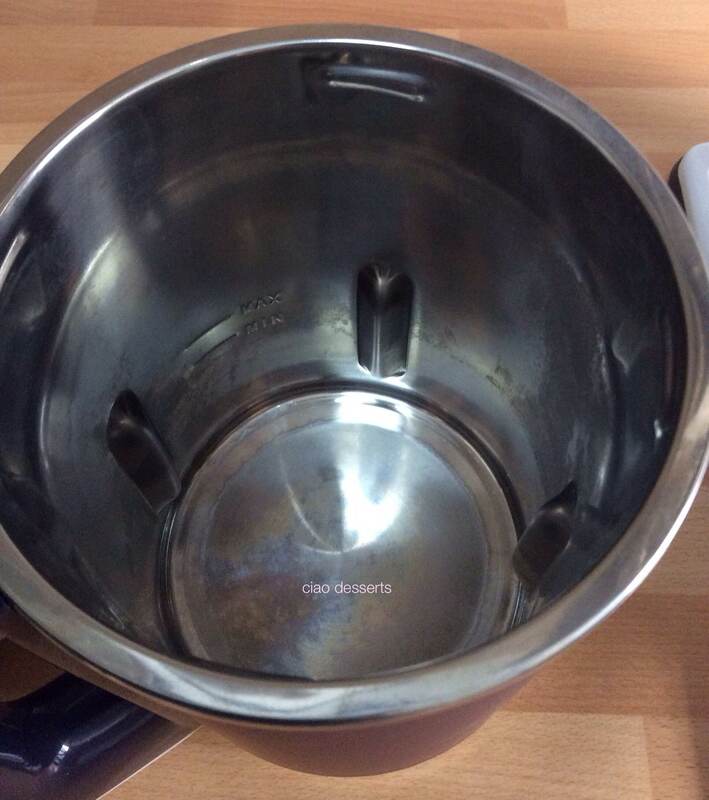 The interior of the jug is stainless steel, and there are measurement marks for the minimum and maximum of water you need to safely operate the machine. There is also a steam release knob, which is a new feature, and was not present on my previous machine. The machine is really easy to put together; the lid just clicks into place. 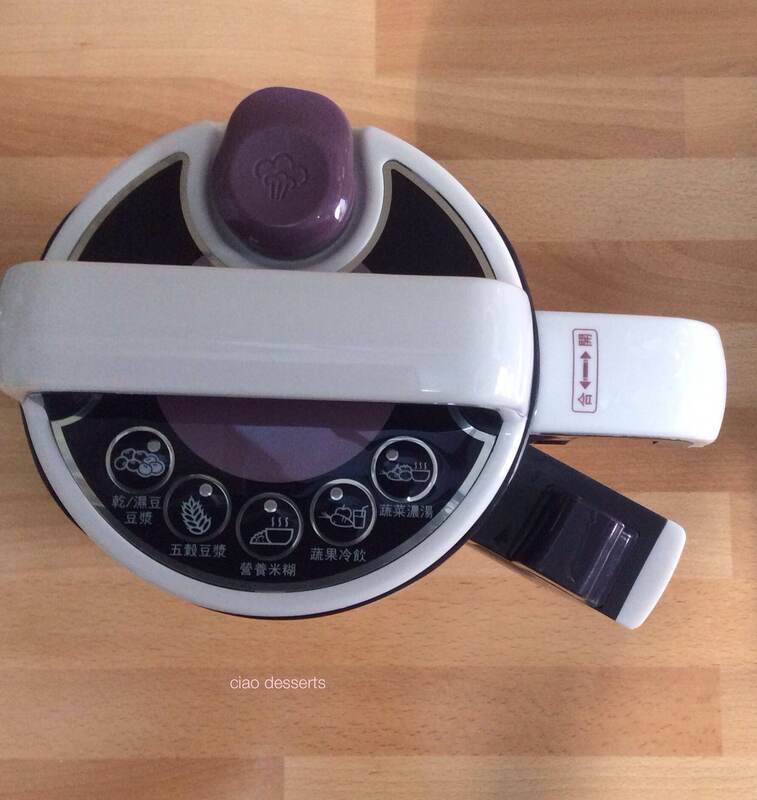 There are five “recipe options” that you can make with this machine. From left to right; they are for : wet/dry soy, multi-grain, congee, fruit smoothie and vegetable soup. The machine comes with a small plastic measuring cup. 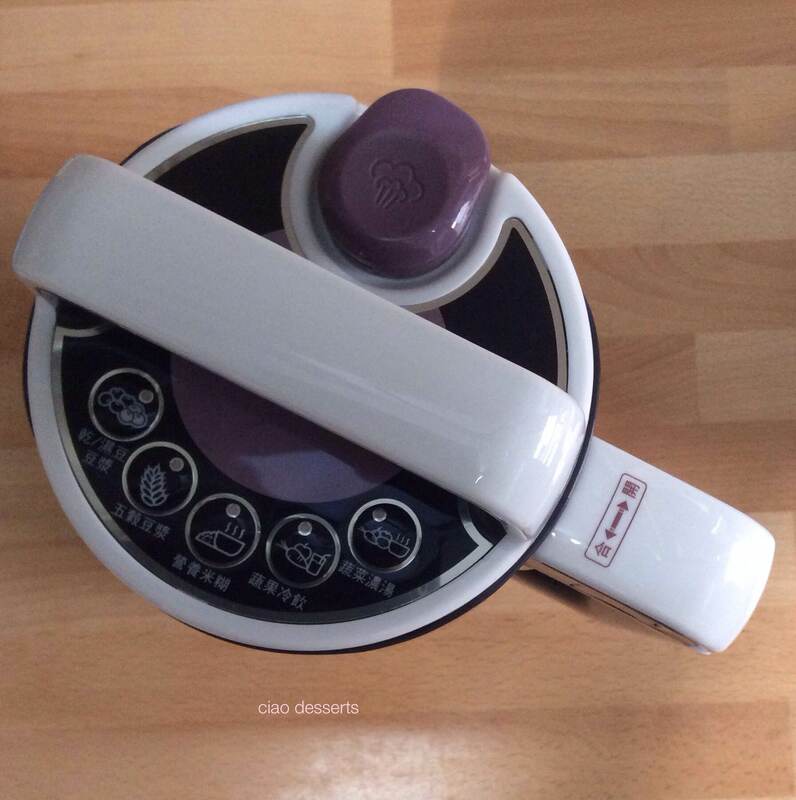 The measuring cup has three measurements marked on the cup, for 30 g, 50 g and 70 g. These numbers are handy to have written down somewhere in case you lose the cup~ then you can just use your food scale to measure the beans. 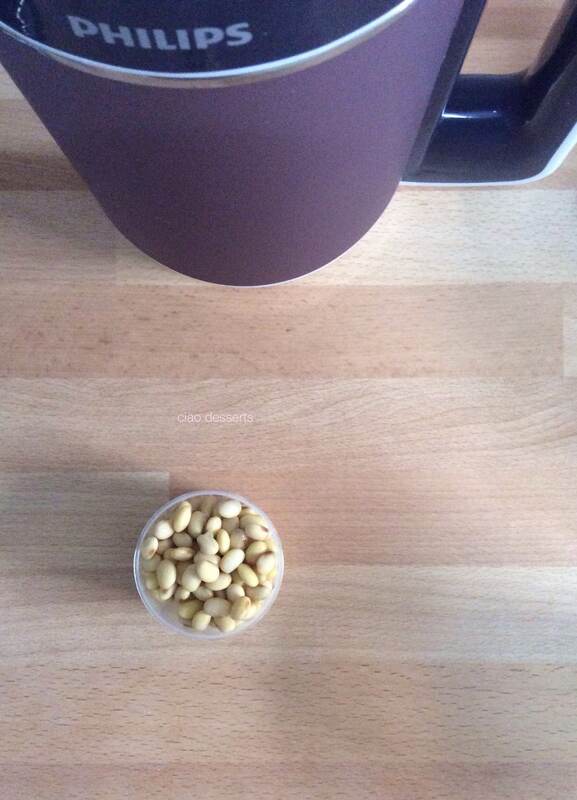 It also only takes a tiny amount of soy beans to make a jug full of soy milk. However, after running the machine a few times, I think my magic formula is about 1 1/2 cups (or about 100g of beans) My observation is that this makes a more flavorful soy milk, rather than just soy flavored hot water. For the soy milk option the machine goes through a process of heating up the water and grinding up the beans. The noise is the loudest when the beans are grinding, but it is not as unbearably noisy like my previous machine. The entire process takes about 26 minutes to complete. In my opinion, the steam release button is a welcome addition. 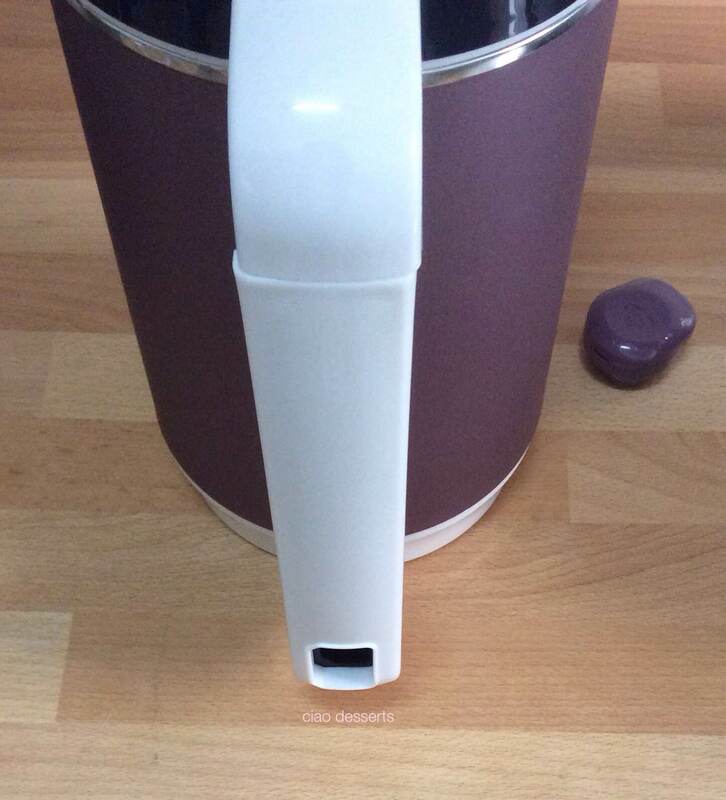 It releases some of the steam, so you aren’t hit with a full on cloud when you open the lid. Plus, the fact that the jug is coated with the heatproof material is absolutely essential. With this feature, the jug is only warm to the touch, and not dangerously hot like the previous machine I used. It is possible to make multiple batches, but it is recommended in the manual that you let the machine cool down for at least 30 minutes between batches. I just fill the machine with water during the cooling off period, so the soy residue doesn’t dry too hard, making it a nightmare to clean up. There is a bit of soy bean residue left in the machine; but it’s a vast improvement from the previous models; so it’s not necessary to strain it, as with older versions of (both from Phillips and other manufacturers). If you increase the amount of soy beans like I do, then there will be a bit more soy bean residue, but it’s not really a big deal and doesn’t detract from the overall texture of the soy milk. (In case you are curious, there is about 1-2 teaspoons of soy bean residue remaining, and they are comparable to grains of sand). Clean up: One of the worst parts of the process is the bits of soy that get attached to both the blade and the inside of the machine. You can’t submerge the blade in water for a good soak, and the little bits of bean really don’t scrub off easily. In contrast to previous models, there is no “self-cleaning” button on this machine, and I must say that I don’t really miss it. I found that on the previous machine I reviewed, during the “cleaning” process, the water didn’t even get heated, and so not much cleaning happened. However, this time, I figured out an ingenious way to clean this machine. While I was trying to work out a fast way to clean the machine, my eye fell upon the big bag of baking soda that I was just using to scrub out the inside of my coffee mugs. So I decided to give baking soda a try. I rubbed a small amount of baking soda onto the blade and the inside of the jug, and scrubbed lightly. I am happy to report that the soy bean bits slipped right off! Then, I poured in some water to the “maximum” line in the jug, and ran the machine with just water for the extra cleaning cycle. Update: Do not, do not get water into the part of the machine that has the blade. It will damage the control board! (I learned the lesson the hard way, but luckily, Phillips was able to repair my machine, and the costs were covered by the two year warranty). As mentioned earlier in this post, I bought this machine at the Sogo department store sales here in Taiwan. However, it is also available for purchase online here. For readers in the United States, I found this machine on Amazon here. Please note: this was not a sponsored post. I paid for this machine and all materials featured in this post with my own money. This entry was posted in Uncategorized and tagged convenience, homemade, kitchen appliance, Philips, soy, soy milk, soy milk machine, vegan. Bookmark the permalink. Peggy~ 哈哈 如果可以這樣我會很開心的 ：） 我買到好用的廚具就迫不及待的想跟大家分享!! Thanks for the review, I was looking at one today and wanted some more info on it, which you provided. Hi, is the soy milk taste good without sugar or other sweetener?